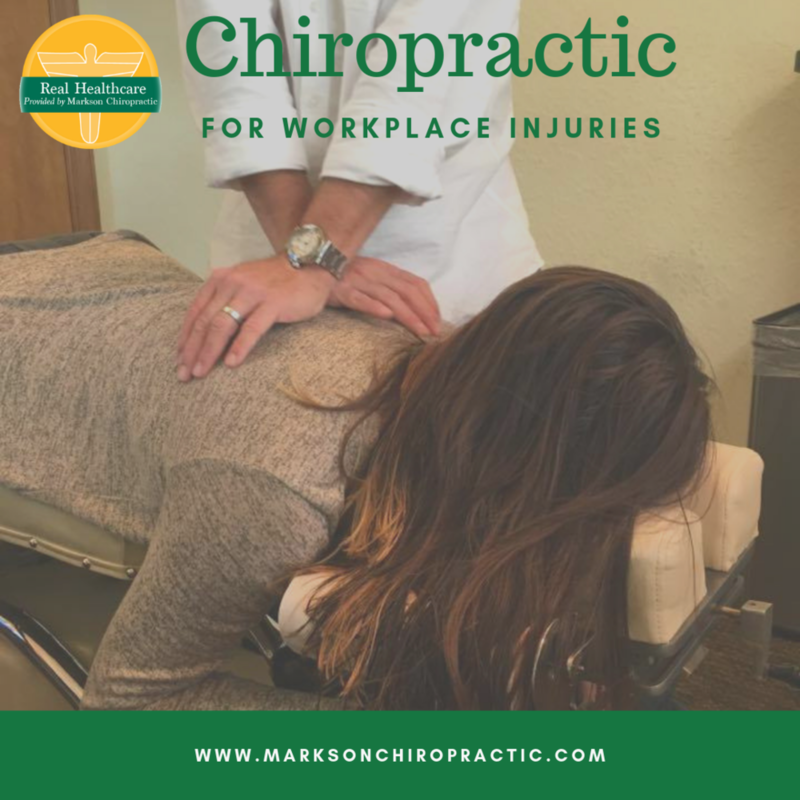 You spend the majority of your day at work, and your job can have a huge impact on your body whether or not what you do professionally is physically demanding. There are many different injuries you can sustain while at work. Here are some of the injuries you can face on the job, and how chiropractic may be able to help. When you visit our chiropractic practice for an appointment and you have a specific complaint (like neck pain), we will work with you to determine what the root of the issue is. We will start by asking you questions about your lifestyle, your job, and other contributing factors. We may also ask for a family and medical history or even to go for additional testing, like an X-ray or MRI. When we’ve gathered as much information as we can, we will use our education and expertise to determine the cause of your issues and the best way to treat them. Once your injuries are determined, we will go forward with a natural, drug-free, and non-invasive treatment plan. As chiropractors, we are known for spinal manipulations, but we are also experts in the mechanics of the body. We will use a variety of treatment methods, including exercise therapy, nutritional counseling, heat/ice therapy, and massage to help you recover from your injury. We will establish the best course of action for treatment that addresses your unique needs. Each of our treatment plans have the same goal: to provide you with the best care possible and restore your body to optimal health. If you have suffered from a workplace injury, we want to help you heal. Contact us for a consultation or to schedule your next chiropractic appointment. Have a Heart Healthy Valentine's Day!